UC San Diego is one step closer to the reclassification as a non-football NCAA Division I university. The campus’s Academic Senate recently announced by vote of its membership that it has endorsed moving forward to Division I.
UC San Diego Athletics and university administrators have been in discussion with the Big West Conference for the last several years in regard to potentially becoming a conference member, which is the next step in the transition to Division I. The conference is comprised of nine institutions including four other UC schools—UC Santa Barbara, UC Irvine, UC Davis and UC Riverside. Work on that aspect of the process is ongoing. 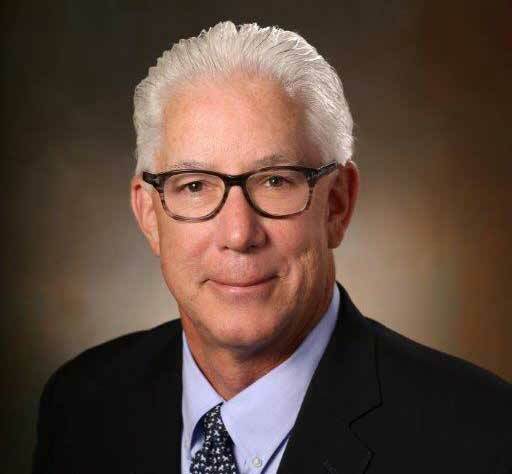 The transition to Division I athletics is an exciting time for current UC San Diego students and for many alumni as well—including Julian “Skip” Schink, ’76, and his father, David, ’63. In 2014, the two men established a scholarship for UC San Diego student-athletes. The faculty council’s review followed a vote by the UC San Diego undergraduate students last May that passed a fee referendum which would provide financial support for the move to Division I. A total of 8,828 ballots were cast during the May 24 vote with 6,137 in favor, 2,567 against and 124 abstentions. 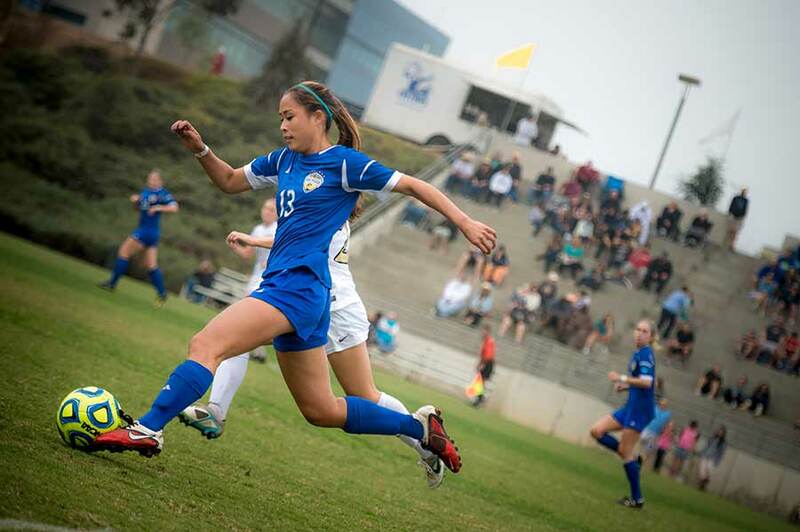 The average GPA of student-athletes at UC San Diego is higher than that of the student body as a whole. The vote from the senate, which includes tenure-track and tenured professors, as well as lecturers, select administrators and other academic staff, was the conclusion of a months-long process that included reports from five different Academic Senate committees on the subject. Under the NCAA Division II classification, UC San Diego athletic teams have won 30 national championships, and the campus has been honored with the NCAA Presidents’ Award for Academic Excellence based on strong graduation rates among UC San Diego student-athletes. 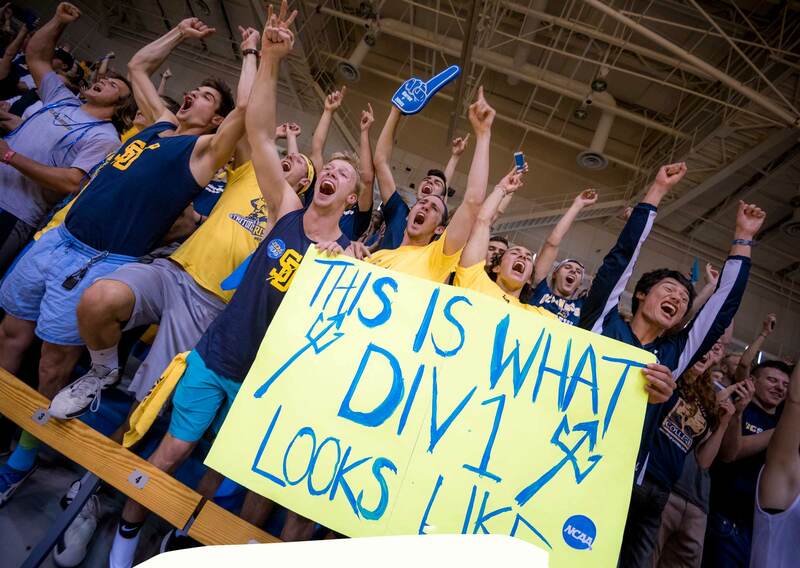 The average GPA of student-athletes at UC San Diego is higher than that of the student body as a whole. Revelle College senior basketball player Adam Klie maintains a 4.0 cumulative GPA in bioengineering. A total of 8,828 ballots were cast by UC San Diego undergraduate students during the May 24 vote to go D1—6,137 were in favor, 2,567 were against and there were 124 abstentions. If an invitation to join the Big West is extended, it would prompt the referendum to kick in during the fall quarter of the next academic year. A portion of those student fees will go to student-athlete scholarships. 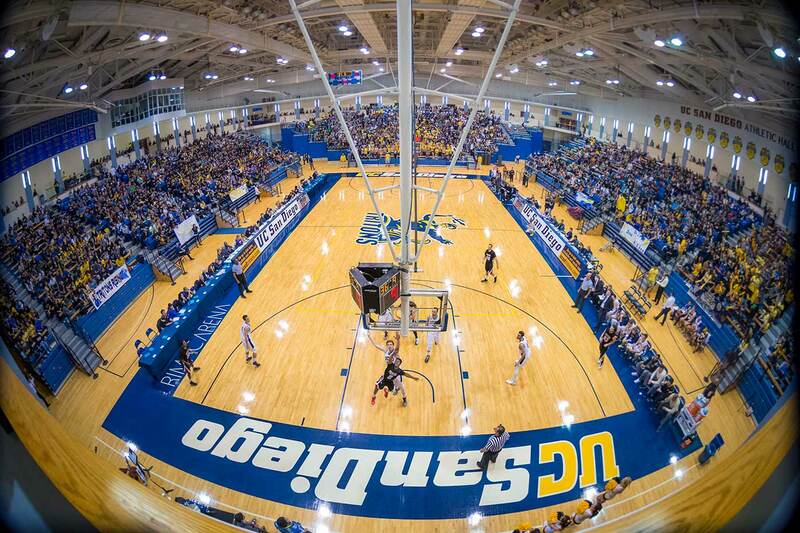 For more information on UC San Diego Athletics, click here.